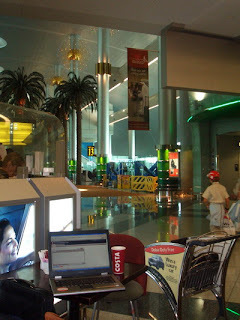 Life has its mysterious ways: Going home .. blogging from Dubai Airport. A friend of mine has become a pilot, and only recently he started getting used to it, first he thought it's just so tiring and unstable, but now, he got used to it, and just loves it!! Hey Nido :) Allah ysallmek ya rab .. o y3afeeky kaman :) .. well .. its not THAT healthy .. but I guess I am coping to it like your pilot friend .. I started to feel too comfortable with aiports , that some airports I know better than some places in Amman .. the bad part though is plane food .. ! I quit my previous job because I had to travel a lot, it started causing some problems at home, so I chose a more stable job. Now that I don't travel anymore, I kinda miss all the thrill at airports and seeing new faces and new cities. Good to have you back blogging!! the Pakistan post is interesting, i would have liked to read more about the food and shopping if you got to do it! always fun to travel for me since i do not do business!!! i get to do a lot of sight seeing and do fun stuff! hope to read more from you. take care and welcome back again! just out of interest, how much does it cost for one hour of internet use in the airport? I know what you mean .. 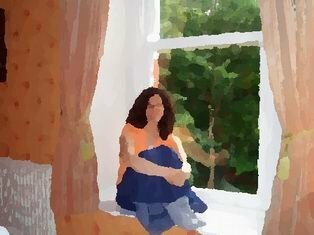 I thought- still thinking- of that several times.. especially at some points where I no longer was able to handle the pressure and unstability .. but I try to remind myself that nothing comes easy .. :) .. so far I'm hangging in , despite the 1000 I thought to quit .. Thanks Summer :) .. yes I'll be blogging more about Pakistan soon inshallah .. I still have few things to write about :)..
ArabLady :) UAE emnawreh be ahelha :) dayman .. Yeah .. I did not get the chance to explore much .. I guess I'll have a better chance in next visits inshallah ..
May allah bless u and guard u..
hope u r enjoying traveling. I used to..but now I dont...I enjoy settling down ; maybe because am not now. I find it very hectic especially when u are staying a short period in each city..
Danah, Wishing you a blessed Ramadan. May God grants you forgiveness and acceptance.